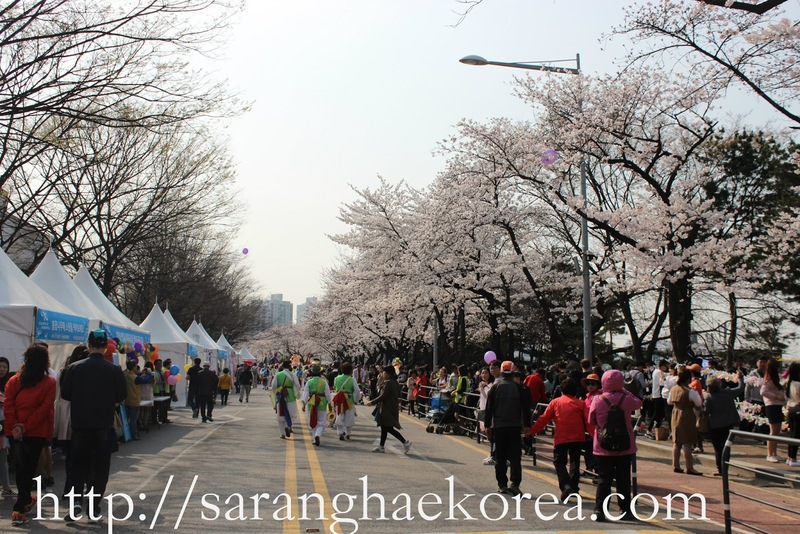 Take Seoul Subway Line number 9 and get off at the National Assembly Station (국회의사당역) and go to Exit 6. Take the Seoul Subway Metro Line 1 or the Junang Line and get off at Hoegi Station (회기역). Go to Exit 1 and walk straight until you reach the university. You can also take the mini bus 01 to Kyung Hee University. Take Subway Line Number 5(Purple Line) and get off at Ohmokyo Station. 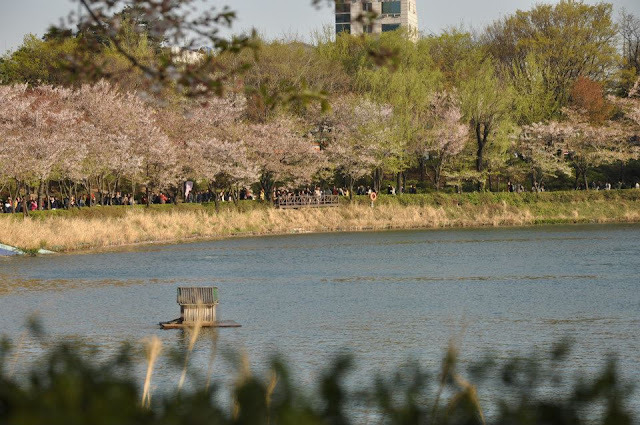 Go to exit 5 and walk towards the walkway beside the stream that stretches from Yanghwagyo Bridge to Ogeumgyo Bridge. From Jinhae Intercity Bus Terminal, take a taxi to Jinhae Jungwon Rotary Intersection. Go to Gyeongju downtown area or tourist places like Bulguksa temple. 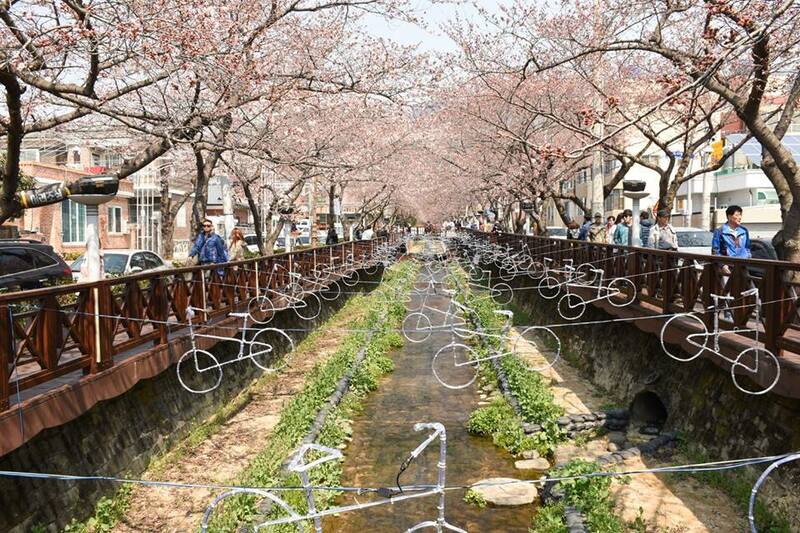 Go to the Jeju Sports Complex and Seogwipo downtown area. 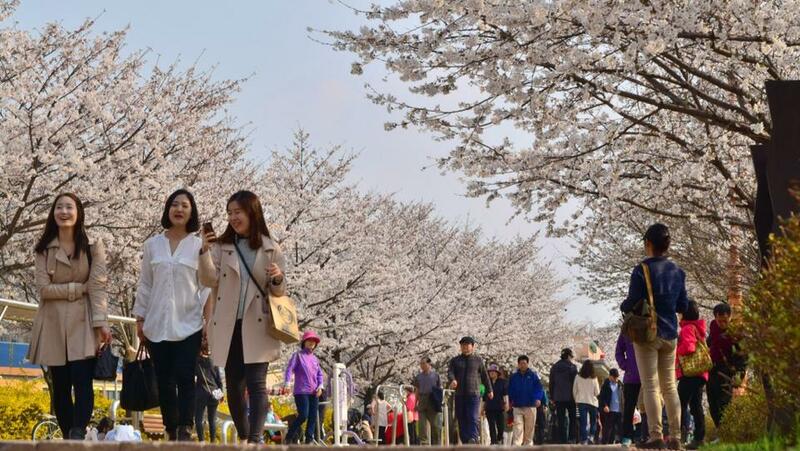 You will see there the Jeju’s King Cherry Tree blossoms which have the largest petals.